Waxed canvas backpacks, though still not in the mainstream, are steadily gaining popularity for their natural vintage luxury style and old-fashioned feel. However, there are few brands offering waxed canvas messenger bags or branching away from the standard backpack with waxed canvas material. One brand taking that leap is Builford, a Korean fashion brand re-imagining and re-designing the rugged waxed canvas material into high fashion bags that also double as heavy-duty travel or daily bags. The result is a stunning blend of style and utility, and the cross-body, messenger, tote, and duffel bags by Builford are not to be missed. 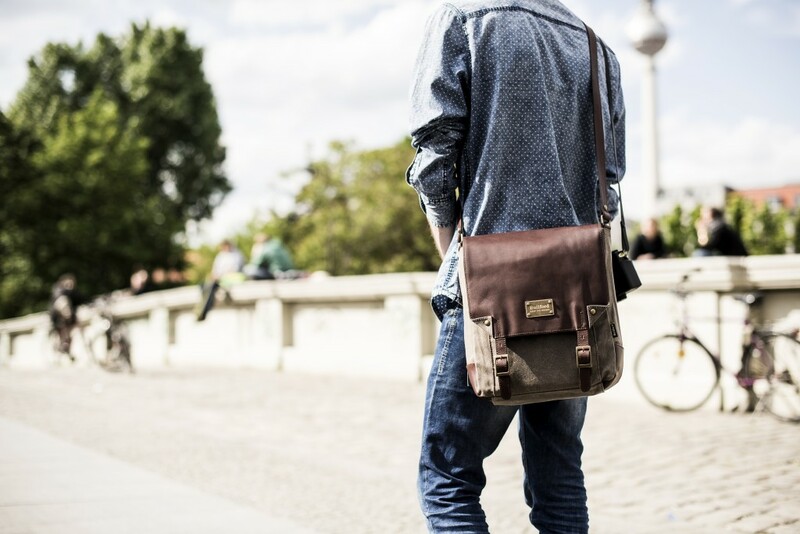 The advantage of using waxed canvas messenger bags as opposed to the usual regular canvas or leather is that you can use the bags in any kind of weather. Messenger bags are great for bikes, as they’re less bulky than backpacks and can fit snugly across the body, but if it’s raining or wet, you can’t use an umbrella to protect your bag. But the waxed canvas is naturally waterproof, so you won’t have to worry about it. Leather often dries out or cracks, which means you have to take extra care of the bag, and canvas wears easily. 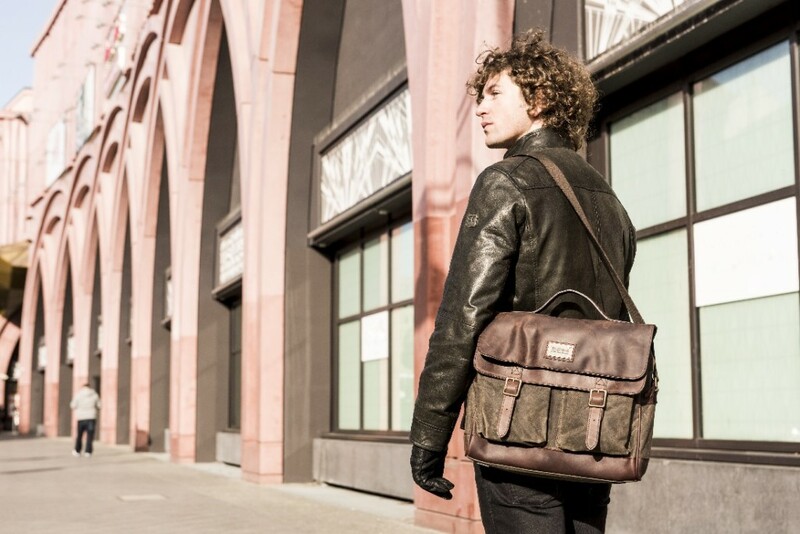 However, the Builford bags are much more durable, and the leather is premium cowhide that’s been treated with oil, a process that allows the leather to remain moist and waterproof. The only wear and tear are natural scratches that only add to the vintage flavor the bags already have. Messenger bags in general often tend to have a very generic design- inner compartment, flap closure with buckles, front pockets. The Builford waxed canvas messenger bags though are all very uniquely designed so each truly feels like a fashion item. The Jeeney and Annette cross-body bags, for example, both have the basic features of messenger bags, which remaining very distinct, beautifully designed bags. The blend of leather and waxed canvas is really lovely and the ratio is varied to change the overall feel of the bag. For busy people always on the move, messenger bags are a great solution – lighter than a backpack, easy to carry on a bike, the inner compartment always accessible at your hip. 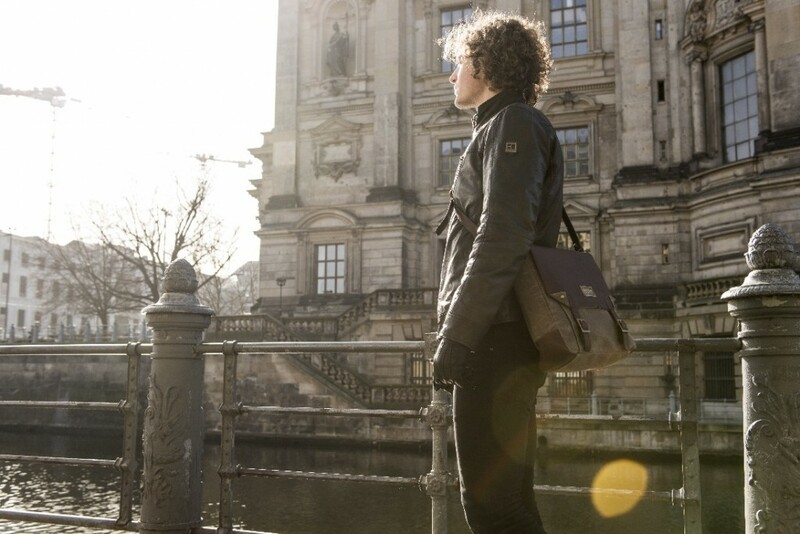 Waxed canvas messenger bags only enhance the advantages of messenger bags, and Builford bags bring them one step higher. To browse the Builford collection, go to the website www.builford.com, where you can see pictures, make purchases, and get your items shipped to you, wherever in the world you are! Share the post "Builford Fashion Waxed Canvas Messenger Bags"
Posted in Fashion Review and tagged bike messenger bags, builford, builford waxed canvas backpacs, Builford waxed canvas bags, messenger bags, waxed canvas bags, waxed canvas messenger bags. Bookmark the permalink.